At Dallas New In Town, we understand how isolating it can be to move to a new city, especially one as big and busy as ours! Dallas is a big place and we’ve discovered that it can be pretty intimidating for new residents, especially when you’re trying to find a friend. Having so many people nearby can actually compound the problem of meeting new people, leaving you wondering who to approach and when. The fact of the matter is that your life probably isn’t a sit-com and your new best friend isn’t going to magically introduce themselves into your life with a cocktail and the perfect joke. We are here to be that real-world friend to show you around all the best little local places, both popular and hidden gem alike. Who are we? We are a team of native Dallas residents who want to welcome you to our favorite city! 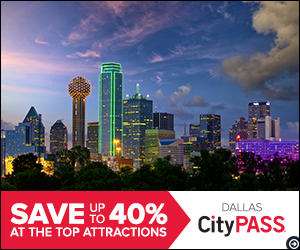 Whether you’re looking for a social circle, cultural enrichment, or just to unwind on the weekend, Dallas New In Town is here to show you around. We help newcomers to Dallas find what they’re looking for with whatever resources we have available. We want to welcome every single Dallas resident into our exciting networked community, from the adventurous introvert to the rowdy sports fan. Dallas New in Town’s goals are to help you make new friends, find trusted resources like a new dentist or chiropractor, answer your questions on the Big Dallas with city guides packed full with information, and lastly fill your calendar with fun things to do! Our favorite way to fill your calendar is through our Meetup events hosted in popular nightlife locations. By coming out to meet us, you can guarantee that you will always have a friend to talk to and someone to laugh off that initial awkwardness. While we love it when you make friends with local Dallas natives, sometimes the best results are when two people who are both new in town team up to face their new home city together. Our Meetup exist to encourage these new friendships and create a supportive community for anyone who wants to join up. We keep a calendar of great culture and nightlife opportunities, from microchip assisted mini golf to trivia nights in our favorite bars. You can come meet us there or adventure independently. After a few fun introduction events, many people find they prefer specific activities, in which case you can join one of our social groups! We’ve got folks who run, drink, go tubing, and even a group for ambitious after-work networking. Dallas New In Town isn’t just another social networking website, we genuinely want to welcome you into our community. Our goal is to show you the ropes, introduce you to all the coolest bars, games, and old movie theaters while skipping the flashy places no local ever really visits. With other itineraries, you’ll get the tourist runaround, but you’re a resident now. You don’t need tourist traps with souvenir shops, you need to know the places where real Dallas residents meet to drink, play, and unwind after work and we want to help you! Dallas New In Town isn’t trying to sell you T-Shirts, we won’t sell your contact info to telemarketers, and we don’t have any ulterior motives when we invite you out to have a beer with us. We honestly want to meet you and build our community by welcoming Dallas residents. Our number one goal is to minimize that awkward moving in phase and get you quickly acclimated to living and socializing in our fantastic city. Pretty soon, you’ll be the savvy professional in the know, introducing someone new in town to your favorite fusion restaurants and trendy after work networking spots. Ready to join our community? Contact us today. Welcome to Dallas!